This is a large, 8-1/2 x 11 book. That makes it wonderful for the hundreds of full color illustrations and photos, but the large size and the nearly 2.5 pound weight do make it somewhat uncomfortable to read. I do recommend this book to those interested in numismatic history. An Amazon reviewer asserts that it is not devoted to numismatics, and it is true if you emphasize "devoted", but there are plenty of numismatic tidbits to be found and many pictures of the coins that are part of the story. Stewart's own collection is shown and discussed at length also. There is a great deal of numismatic interest in this book. That said, the authors do take their title seriously. This is the history of the first Mint; the land upon which it was built and the ownership of each parcel before and the Mint's operation, the details of each building, including which came first and the confusion that various other chroniclers have contributed, the people involved (primarily Frank Huling Stewart) and what happened to the buildings after the Mint itself moved on to larger quarters. There are times when all the minutia gets both confusing and boring, but the depth of research and documentation is impressive and admirable. As the authors explain, this work was originally intended to be a short article in the Numismatist but their research kept leading them deeper and deeper. 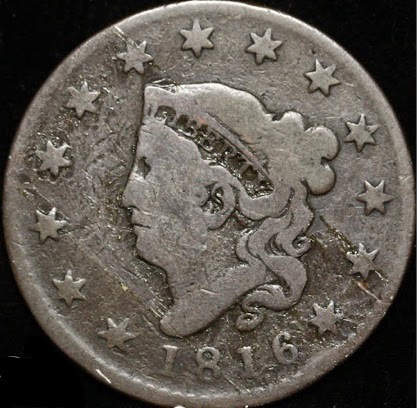 Any U.S. coins you may own dated before 1833 (excluding restrikes) were produced at this first Mint. For a good part of its history, men and horses provided all the energy needed; a 10 horsepower steam engine did not come until 1816, but even that was only used for drawing, rolling and some planchet cutting. Human muscle power still struck the coins until the second Mint in 1833. This is a book worth owning if you enjoy coins and history.